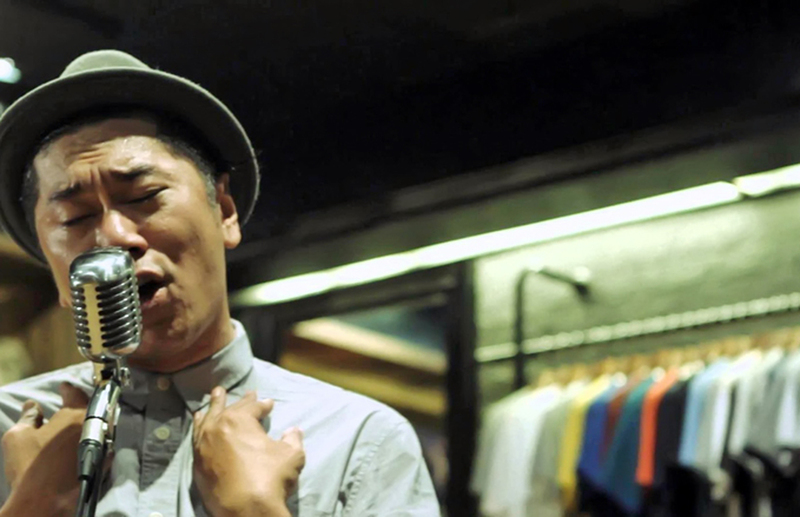 Music-centered video project Sounds From The Corner was the first of its kind in Indonesia. Featuring high-quality, live video shoots of musicians performing in a variety of creative settings -- some conceptual, some with a basic performance setup -- the 3-year-old project has not only garnered a wide audience online, but arguably spearheaded a movement of similar video projects in the country. Teguh Wicaksono heads a small team filled with some of the country's most creative videographers. Together, they have produced nearly 50 videos of local musicians doing what they do best. With a production quality that rivals, if not surpasses, mainstream music videos in terms of visual and sound quality, Teguh and his Sounds From The Corner [SFTC] crew have consciously progressed toward production with videos that feature more conceptual ideas -- though they are far from abandoning traditional live performances. Headline names from the pop universe such as Raisa, Tulus and Tangga have also performed for SFTC; these videos ranks among their project's biggest hits, with Raisa's video garnering over 600,000 views in YouTube. However, the project's emphasis is mostly centered on videos of independent bands. This should not come as a surprise, with Teguh's past as a manager for The Trees and The Wild, a well-known name in the scene. I spoke with Teguh about SFTC's growth from a serious hobby into an influential force in the local music and video scene. Q: How did SFTC start, and what were your initial goals with the project? A: We started around September 2012, [SFTC videographer] Dimas [Wisnuwardono] was one of the brightest music videographers within local scene and was also one of the first people who were uploading music performances on Youtube, mainly from [local] Indie musicians. We met when I was the manager for local band The Trees and The Wild, and Dimas was our official photographer and videographer. SFTC was arguably the first of its kind in Indonesia at that time. Today there are several sites offering similar content. So a big part of our job during early years was introducing the concept of online music sessions to all of the pillars in the industry: musicians, record companies, agents, managements and the most importantly, the general Indonesian audience. Sounds simple, but it was actually tricky, and at the same time challenging. What SFTC does is to provide well-produced and curated documentation of Indonesian music using a digital platform. Our goal is to educate and at the same time entertain the Indonesian audience with 'champion' content, so we fight hard for good quality sessions, audibly and visually. We build on-field infrastructure and establish a consistent presence. Did SFTC look to particular projects when it began? Do you feel you've outgrown those influences? What SFTC does was already being practiced by many cool projects scattered around the world for years, from the likes of [French artist] Vincent Moon's Take Away Shows to more established ones, like Abbey Road sessions. We don't feel that we've outgrown these influences, but surely they helped down the path to become more contextual in terms of technical aspects, and best practices on how we should deliver our own values to the audience. What kind of unique aesthetic or approach do you think SFTC has today? SFTC is such an introverted project. Thanks to a serious lack of human resources -- we started with two people and now have eight people after three years, most of them are videographers. Our only ammunition are actually the videos. We work hard to publish new videos on-time -- one each month -- because we believe that nowadays in the "digital world" people could make almost anything, but the most expensive currency is consistency. So in terms of unique aesthetic, you can see it from our videos. Our identity is built on our content. And we are confident that our videos have strong characteristics. How do you decided on what musicians and bands to cover? Curation is an essential part of the project. We map out and curate Indonesian musicians that are representable for both local and global audiences. The big plan is to have a nice mixture of major acts and more niche bands. As result, we have worked with wide range of musicians from pop moguls NOAH, high octane rocker Seringai, classic cult dangdut band PMR, to young diva Raisa. Fortunately -- or unfortunately -- we trust our own instincts when it comes to deciding which musicians to cover. First priority, of course, is the music itself, as perceived from various points of view. Second is the audience reach of the music: How we can expand our audience reach? When you can put NOAH and PMR in the same bill, you get surprising results, and it's been our dream for the beginning to distort the boundaries that define music genres. We believe that there are only two kinds of music: good music and bad music. What kind of satisfaction do you derive from the experience of making these videos? The reason why we're lacking resources is because it's so hard to find people that share the same vision and spirit working on SFTC videos. Our team's vision is purely fueled not by financial satisfaction, but the joy of documenting good music. Sounds tacky, but it's sadly true. This project is arguably silent, but it deliver qualities that you can count on. Another satisfaction comes from the fact that we're building alternative channel to voice talents that are less exposed. How do you see SFTC's role in the growth of Indonesian music, particularly its independent scene? In line with the big idea of documenting something through our videos, SFTC is archiving good local talents. I believe you are aware of how poor [the Indonesian] music archives are. For indie bands, we're bringing them new fans [from the mainstream], and this could be a really good medium for cross-audience promotion, because apparently Tulus fans are also checking out [Balinese grunge band] Navicula's session; Payung Teduh fans are also watching our Barasuara session, and so forth. Our goal is simple: to be consistent and impactful. What have been your best and most memorable experiences so far with SFTC? Lots. Handling NOAH's full concert, shooting a complicated outdoor session with White Shoes and the Couples Company at Taman Mini Indonesia Indah's Anjungan Papua; the crazy audience at Rumah Sakit live session. What are your next plans with SFTC? After many videos, we really want to focus on our audio production. For the sake of creative flexibility, we have invested in building our own infrastructure -- a live mixer, cables, mics and such. Big ideas always prevail -- roadshows, DVD compilations -- but right now we just want to establish our own little, dusty blog [soundsformthecorner.com] and to prepare a new format for the sessions.